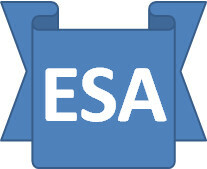 The ESA Saga: What it all boils down to??? The starting point is that there has always been a line between who is FFW and who is not, with the former to some degree subsidising the latter. There is no complex quadratic equation that allows you to input a few variables about a person and a totally reliable answer pops out of the end. For a variety of reasons, the financial balance between how much is going in and how much is taken out no longer balances (or is perceived to be unreasonable) and one of the strategies is to move the line to shift marginal cases from the second group into the first. This need only be done to a point that a satisfactory balance is re-established. There is no “do nothing” option. Worth estimating at the same point how much further (if at all) this line could be moved if needed, as this will dictate future policy. Do we want a process based on agreement and trust or one based on prescription, conflict and resentment? How can anyone judge fitness to do something without any definition of what this “something” is – in this case “work”? If “general work” is such a universally understood concept, how come nobody can provide a written description of it? Will the people who shift from one side of the line to the other (not FFW to FFW) have as good a chance of finding a job as everyone else having been placed in the same homogenous job market? If not, what needs to be done to ensure they are not disadvantaged? Given that there needs to be a discriminator between FFW and not FFW, what level of first-time accuracy must it achieve, given that 100% is unrealistic? How do you reasonably simulate ALL of the facets of working when applying the discriminator? Given that work varies, can there ever be a single set of parameters assessed in one location at a single point in time? How do you make sure that this test is faithfully and consistently performed? Regardless of semantics and spin, can you ever expect a relatively lowly qualified HCP + an administrator to accurately assimilate complex and potentially contradictory medical evidence, particularly given 4) above? How do you sensitively monitor people’s state of health over time- improvement & deterioration? How do you identify potential assessment errors at the margins and efficiently deal with them? At what point is it reasonable to expect someone to effectively change career if they can no longer pursue the one they have had? How do you manage the situation where there is not enough work to go round, particularly in terms of the “contribution” you expect (if any) from those partly or wholly dependent on welfare benefits and how do you gain their enthusiasm to do what they can?